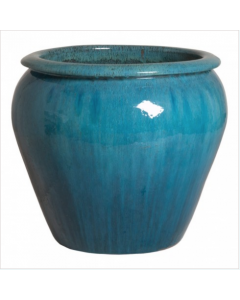 This stunning planter features a blue and white sunflower leaf design and is available in 2 different sizes. The small measures 25 W x 25 D x 17 H and the large measures 29 W x 29 W x 21 H. Please select size from drop-down menu below. Click on image for greater detail.